The problem of shrinking civil society space has dangerous implications for comprehensive security in the OSCE region, concluded the participants of the 2016 Parallel Civil Society Conference held in Hamburg on 6-7 December 2016, ahead of the annual summit of OSCE foreign ministers in this city. This was the seventh conference of this kind organized by the Civic Solidarity Platform (CSP) – a network of over 80 human rights NGOs from across Europe, the former Soviet Union and North America. 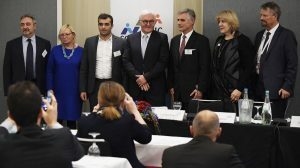 The over 100 participants adopted the so-called Hamburg Declaration in response to the current unprecedented backlash against human rights defenders in the region, as well as a set of recommendations to OSCE states, institutions and field offices on how to address this and other alarming human rights trends. The declaration and recommendations attracted a lot of attention and support. 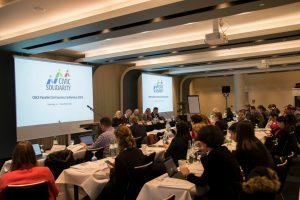 “The Hamburg Declaration – endorsed by civil society representatives from 29 countries – sends an important signal about the urgency of increased efforts to protect human rights defenders at risk in our region,” said Brigitte Dufour, Director of International Partnership for Human Rights (IPHR), which took a leading role in the organization of the Parallel Civil Society Conference and assisted with the preparation of the outcome documents. “We welcome the strong support this declaration has received and look forward to working with all relevant actors on the realization of it in the framework of the CSP,” she continued. At the closing session of the Parallel Civil Society Conference, the outcome documents were handed over to OSCE Chairperson-in-Office and German Foreign Minister Frank-Walter Steinmeier, Austrian Deputy Foreign Minister Michael Linhart from the incoming 2017 OSCE Chairmanship, OSCE Representative on Freedom of the Media Dunja Mijatovic and First Deputy Director Katrazyna Jarosiecicz-Wargan from the OSCE Office of Democratic Institutions and Human Rights (ODIHR). 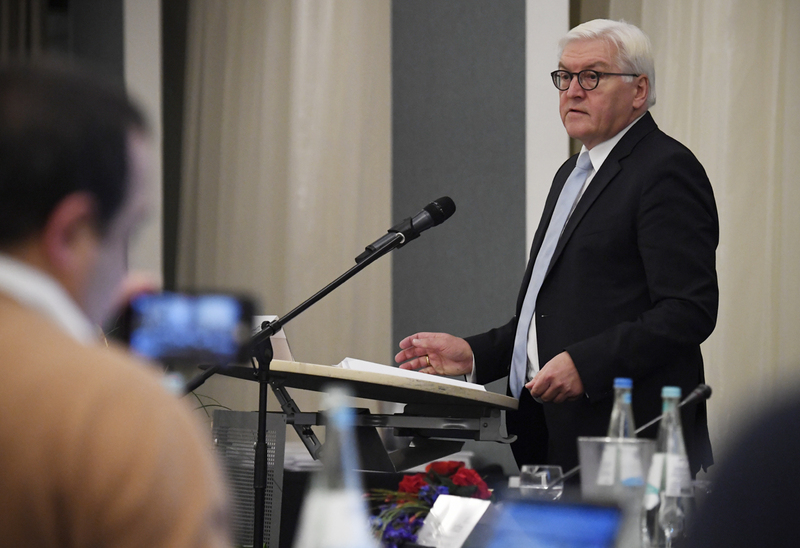 Speaking at this session, Foreign Minister Steinmeier referred prominently to the Hamburg Declaration, calling on OSCE participating States to work with civil society experts to find solutions to the growing threats facing human rights defenders in the OSCE region. “As pointed out in the Declaration adopted by the Parallel Civil Society Conference, the space for civil society is shrinking in our region, with numerous negative implications for the realization of the OSCE comprehensive security concept. However, in certain parts of the OSCE region we continue to see severe restrictions placed on civil society organisations and attacks on human rights defenders. Legislation that restricts the work of civil society, and which results in criminal charges against and detention of people who have devoted their professional lives to the support of others. Lawyers who act in line with their professional obligations to defend individuals, only to subsequently face criminal charges themselves. Journalists who are silenced, through intimidation, legislation and restrictions on their work, and more worryingly through violent acts and murder. The message of this statement was also in line with the theme of this year’s Human Rights Day, which was celebrated on 10 December 2016. 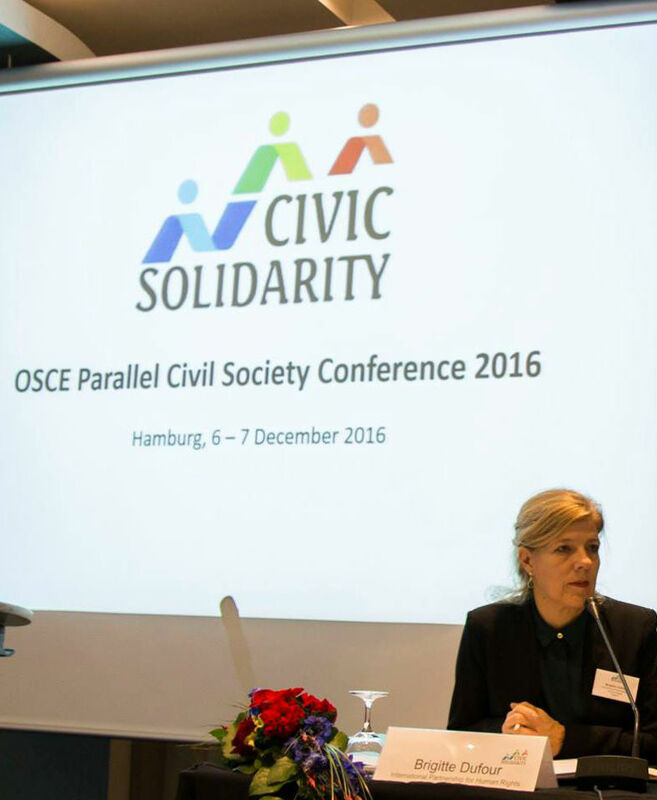 For more information about the Parallel Civil Society Conference and the work of the CSP, visit the CSP’s website.